Q. How can I find which books are on reserve for my course? 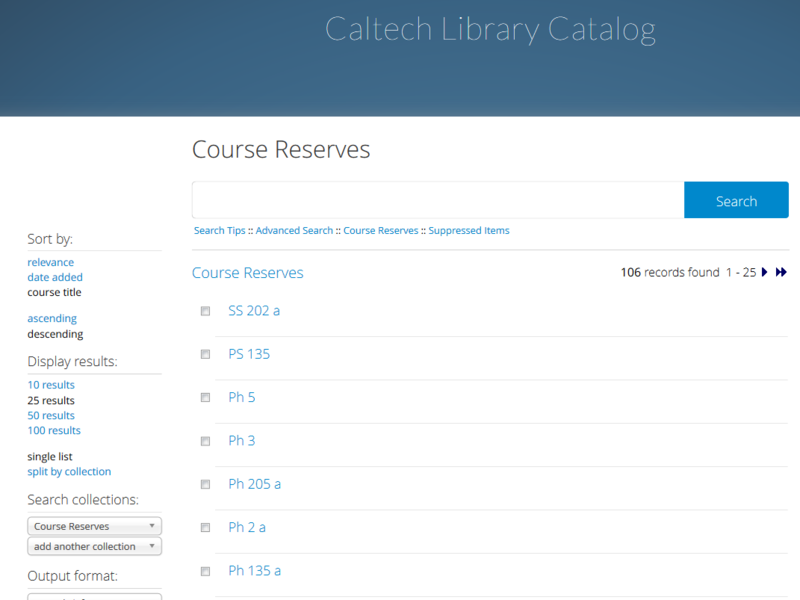 There are multiple ways to locate the books on reserve for your course. Find the "Course Reserve" link on the Library homepage under Services. Once at the course reserve list, you can browse the list or search by course (example: E 110) or by instructor last name (example: Smith).